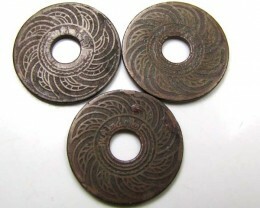 Before 1860, Thailand did not produce coins using modern methods. 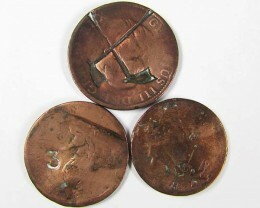 Instead, a so-called "bullet" coinage was used, consisting of bars of metal, thicker in the middle, bent round to form a complete circle on which identifying marks were stamped. 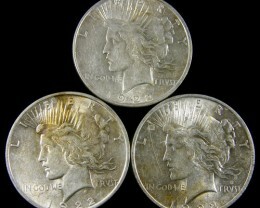 Denominations issued included 1⁄128, 1⁄64, 1⁄32, 1⁄16, 1⁄8, ½, 1, 1½, 2, 2½, 4, 4½, 8, 10, 20, 40, and 80 baht in silver and 1⁄32, 1⁄16, 1⁄8, ½, 1, 1½, 2, and 4 baht in gold. 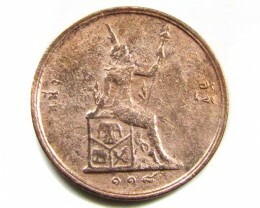 Between 1858 and 1860, foreign trade coins were also stamped by the government for use in Thailand. In 1860, modern style coins were introduced. These were silver 1 sik, 1 fuang, 1 and 2 salung, 1, 2 and 4 baht, with the baht weighing 15.244 grams and the others weight related. Tin 1 solot and 1 att followed in 1862, with gold 2½, 4 and 8 baht introduced in 1863 and copper 2 and 4 att in 1865. Copper replaced tin in the 1 solot and 1 att in 1874, with copper 4 att introduced in 1876. The last gold coins were struck in 1895. In 1897, the first coins denominated in satang were introduced, cupronickel 2½, 5, 10 and 20 satang. 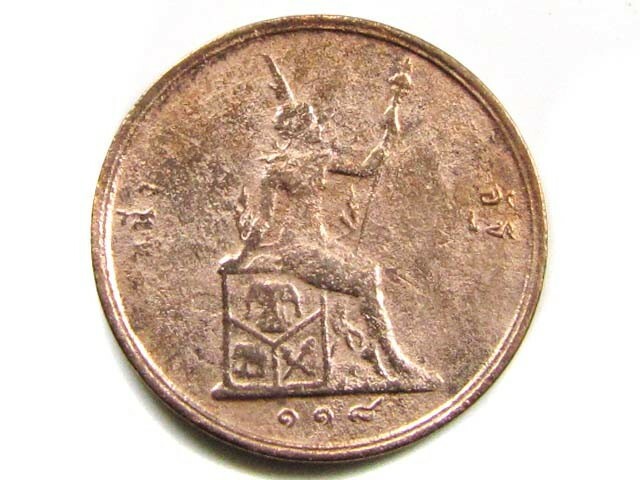 However, 1 solot, 1 and 2 att coins were struck until 1905 and 1 fuang coins were struck until 1910. In 1908, holed 1, 5 and 10 satang coins were introduced, with the 1 satang in bronze and the 5 and 10 satang in nickel. The 1 and 2 salung were replaced by 25 and 50 satang coins in 1915. In 1937, holed, bronze ½ satang were issued. In 1941, a series of silver coins was introduced in denominations of 5, 10 and 20 satang, due to a shortage of nickel caused by WWII. 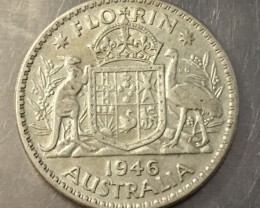 The next year, tin coins were introduced for 1, 5 and 10 satang, followed by 20 satang in 1945 and 25 and 50 satang in 1946. In 1950, aluminium-bronze 5, 10, 25 and 50 satang were introduced whilst, in 1957, bronze 5 and 10 satang were issued, along with 1 baht coins struck in an unusual alloy of copper, nickel, silver and zinc. It should be notes that several Thai coins were issued for many years without changing the date. 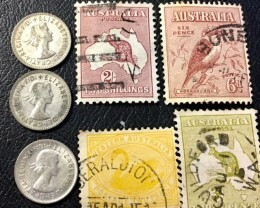 These include the tin 1942 1 satang and the 1950 5 and 10 satang, struck until 1973, the tin 1946 25 satang struck until 1964, the tin 50 satang struck until 1957, and the aluminium bronze 1957 5, 10, 25 and 50 satang struck until the 1970s. 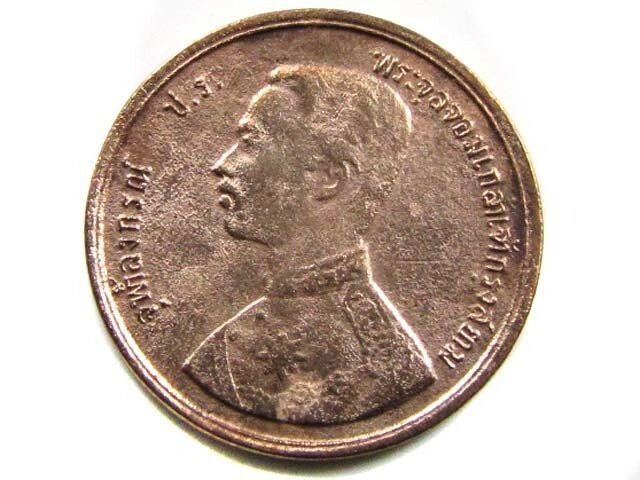 Cupronickel 1 baht coins were introduced in 1962 and struck without date change until 1982. 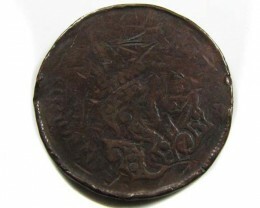 In 1972, cupronickel 5 baht coins were introduced, switching to cupronickel-clad copper in 1977. Between 1986 and 1988, a new coinage was introduced, consisting of aluminium 1, 5 and 10 satang, aluminium-bronze 25 and 50 satang, cupronickel 1 baht, cupronickel-clad-copper 5 baht and bimetallic 10 baht. Cupronickel-clad-steel 2 baht were introduced in 2005. In 2008, the Ministry of Finance and the Royal Thai Mint announced the 2009 coin series, which included changes in materials to reduce production costs as well as an update of the image on the obverse to a more recent portrait of the King. 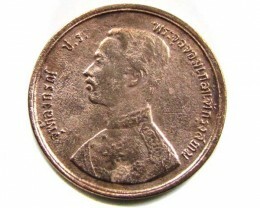 The two-baht coin, confusingly similar in color and size to the one-baht coin, was changed from nickel-clad low-carbon steel to aluminium bronze. New two-baht coin was the first of the new series released on February 3, 2009. Followed by satang coin in April, five-baht coin in May, ten-baht coin in June and one-baht coin in July 2009.